Tasmania’s 19 national parks cover 1.5 million hectares and are renowned worldwide for their spectacular landscapes and diversity of unspoiled habitats and ecosystems . They attract over 800 000 visitors annually with this number expected to further increase in the future . The parks contain iconic attractions such as Wineglass Bay, the Overland track and Cradle Mountain. Tasmania’s tourism strategy recognises the value of these natural assets as fundamental to the tourism industry and a core appeal for visitors from interstate and overseas . 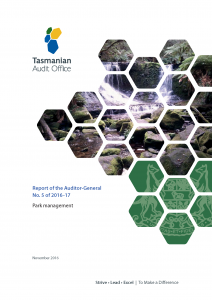 The Tasmanian Parks and Wildlife Service (PWS) — a division of the Department of Primary Industries, Parks, Water and Environment (DPIPWE) — manages Tasmania’s reserves. Reserves are declared under the Nature Conservation Act 2002 that sets out the values and purposes of each reserve class and managed under the National Parks and Reserves Management Act 2002. To guide these activities PWS prepares both statutory plans (e.g. park management plans) and non–statutory plans (e.g. business plans, development plans and site plans). The audit assessed performance of PWS, a division of DPIPWE, over the period 2010–15. 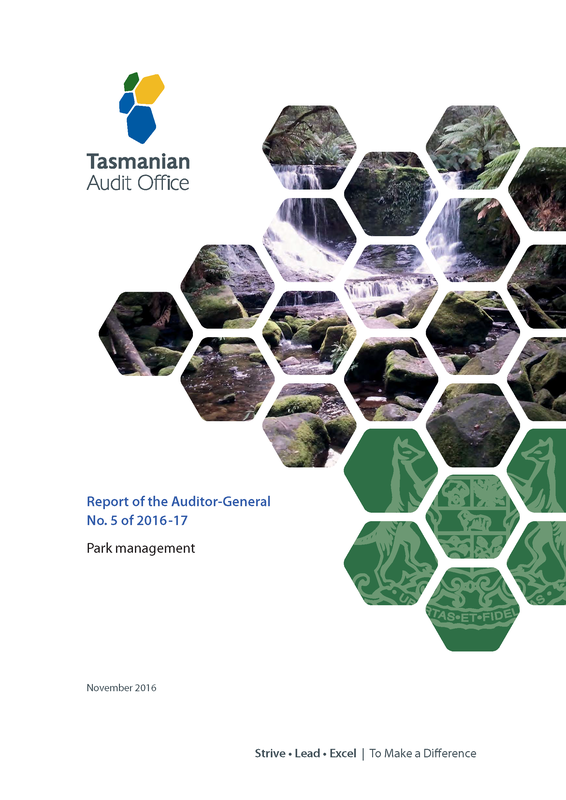 The audit scope included national parks, but largely excluded other parks and reserves. Categories of parks and reserves are outlined in Appendix 1.